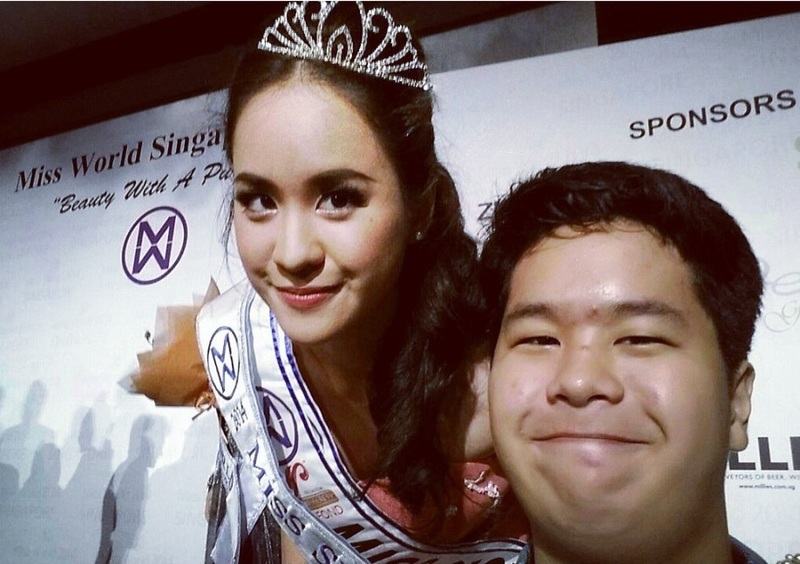 Remember how I promised a blogpost about my experience at the Miss Singapore World Finals? Well, there is actually a list of other things I want to write about as well. But since this one is done up already, let me just link you here! I never imagined myself in that world of big smiles, perfect hair and tiaras – let alone one of Singapore’s “Big 4” pageants – but this September I found myself in a neat line of girls in gowns, on that very stage, at Miss Singapore World. It still feels a little surreal. 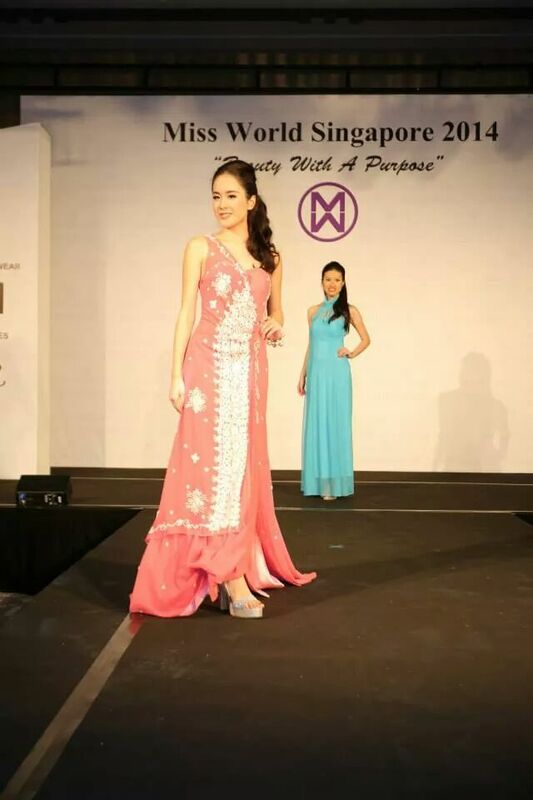 I’d woken up one morning to a Facebook message inviting me to join Miss Singapore World. It was one of those “What if?” moments – they had already completed a pre-judging segment, and the night itself was only a few weeks away, but I decided to go with a “Why not!” and put my best stiletto-ed foot forward. The pageant night came all too soon. As we stood in a line backstage readying ourselves to take the stage, I tried to calm my nerves. I’d walked in fashion shows a few times, but pageants were a whole new challenge – who hasn’t seen YouTube videos of embarrassing Q&A segments and girls tripping over gowns at pageants? Trying not to let my nerves get the better of me during the Q&A segment. I took a few deep breaths and decided to give it my best shot. The lights went on, the cue was given, and I went on stage with no expectations, a bounce in my step – and a big smile. Doing the catwalk was easier. When they not only announced my name in the Top 10 line up, but also for the Miss Personality and Miss Photogenic titles, I was over the moon. The cameras flashed as they put the sashes on me – I felt like a star! I was really close to tears at that point, speechless and surprised. Then came the announcements for Top 5, Top 3, and the heart-stopping moment that arrived with “Top 2”. I was finally named the First Runner-up! Sandwiched between my brother, Nick, and one of the judges, Mr Allan Moo. They put the tiara in my hair, added the sash across my shoulders, and presented me with my prizes, which included a talent contract with a local movie production house. I waved and mouthed a grateful “thank you” to the judges, who were beaming and clapping. It was perfect – I savoured every moment of it. Backstage, the make-up artists and gown sponsors showered me with enthusiastic congratulations. The biggest surprise of all was my little brother Nick turning up at the stage. “Kim, Kim, come on, let’s take a selfie!” he went, in his usual way. “You’re here!” I shrieked. I hadn’t told my family to attend the event since tickets had been sold out. But there he was! “How could I miss it?” he said, as he took the selfie – my favourite photo from that night.